Heavy-Weight Senior Builds His Own Ebike! 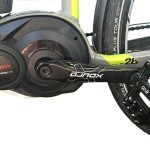 What is a Pedelec Bike? Heart Attack Survivor Still Cycling – on a Pedal Easy Electric Bike! 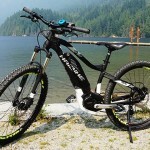 All about Electric Bikes - reviews, news, and advice! 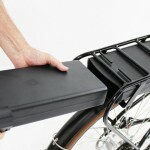 Welcome to our Electric Bikes Blog! Welcome to our blog! I’m Joe Goodwill, and I love electric bikes! I have written a book about how to choose the best electric bike. This blog features product reviews, news, and advice. 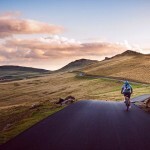 I also have a blog about all aspects of cycling - my Average Joe Cyclist Blog - and my Average Joe's RV Living Blog. Hi! I'm Maggie Neilson (aka Mrs. Average Joe Cyclist). Together Joe and I have done a lot of cycling, and Joe has passed on his love of electric bikes to me. 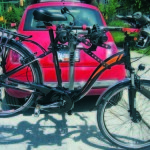 I love my electric bike, and I share my passion for electric bikes on this blog. 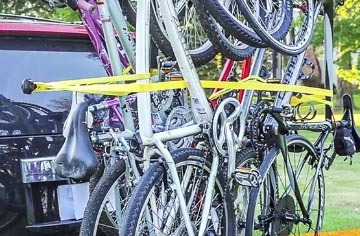 Special Offer for Average Joe Cyclist Readers – 10% off a New Totem Pole Bike Rack!